They say you are supposed to spend the first day of each New Year with the people you want to spend time with throughout the year, and doing the things you want to continue doing throughout the year. With that in mind, Klutch and I bundled up and climbed on the bike to head down to Bikini Beach Bar for the 2016 Polar Bear Run. We arrived to find many of our friends and family already there and ready to ride. Among them were my own Brother and Sister. There is no better feeling than being with your siblings on the first ride of the year. As usual, Kristy, Barbara and the girls had hot sausage and biscuits and coffee ready for everyone when we got there. Bloody Marys were also flowing to warm us from the inside. Temperatures were slowly creeping up from the low 30’s when we arrived. Kick Stands Up came at noon, as one hundred and twenty plus bikes rumbled out of the gates, with at least two chase trucks in tow. The sky was clear and the air was crisp. I was comfortable throughout the day, thanks to Kelly at Sloan’s Motorcycle ATV in Murfreesboro for allowing me to “test ride” a heated vest and gloves from the Venture line. While there are several lines offering heated riding gear I found this to be the most user friendly. All connectors necessary to hook them up and go were included in the packaging. The scenic ride took us through Nashville to our fist stop, Skully’s, out on Swinging Bridge Road in Old Hickory, Tennessee. Everyone was greeted and made welcome by Rose and Amanda. The Saloon was filled to capacity and overflowed in to the parking lot. 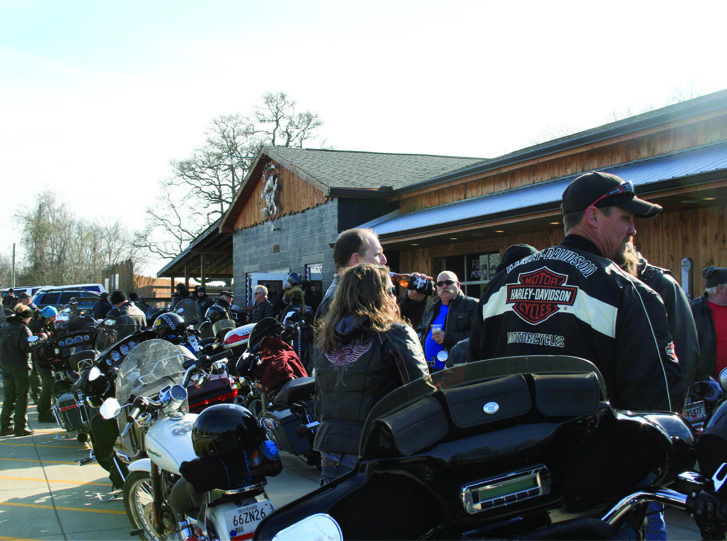 Several Riding Clubs and MC’s were represented among the brotherhood riding with us. 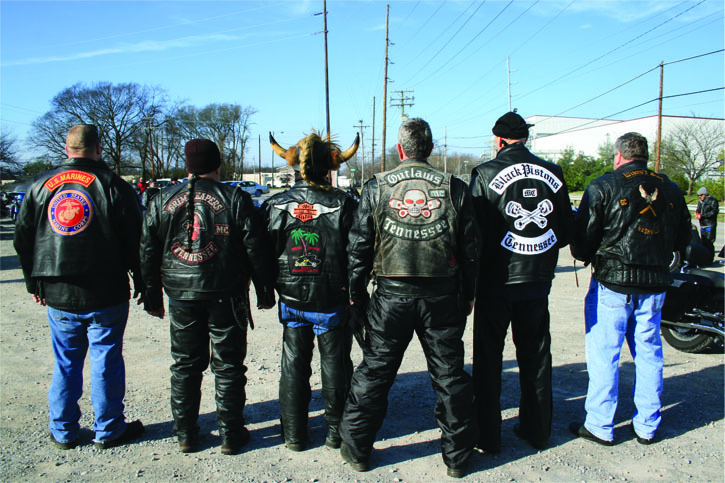 Members of the Widows Sons rode along side Grim Reapers, Outlaws and Black Pistons. 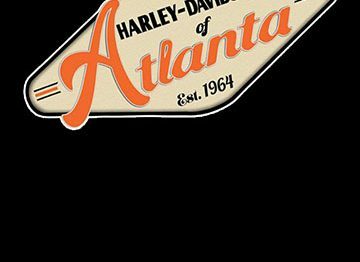 This year we were also pleased to have among us our Owners of Full Throttle Magazine, Randy and Vivian, Our Marketing Director, Derek and his wife Kim, and their friends Ray and Liz, who own Mulligan’s Food and Spirits in Marietta, GA. They were all in town to celebrate the New Year and were able to join us on the Polar Bear Run thanks to Ricky Kelley at Music City Indian Motorcycle for offering them motorcycles to ride. Throughout the day they rotated riding the Indian Vintage, Indian Classic, and a Victory Magnum. These bikes all got a lot of curious attention. Barry performed his now well known ritual of waving his hand in the air and announcing Lock and Load. Everyone made their way back to their motorcycles and headed out to our next stop. At Roadside Bar and Grill Mark, Jen, and John welcomed everyone. The inside bar and front porch were packed. Motorcycles were parked up and down both sides of the street. The next stop on our tour was a favorite of most, Double E’s located on Lebanon Pike. Cliff and his crew were ready for everyone. Several more old friends who didn’t make the ride were waiting there to ring in the New Year with all of us. A few even joined us for the last legs of the run. 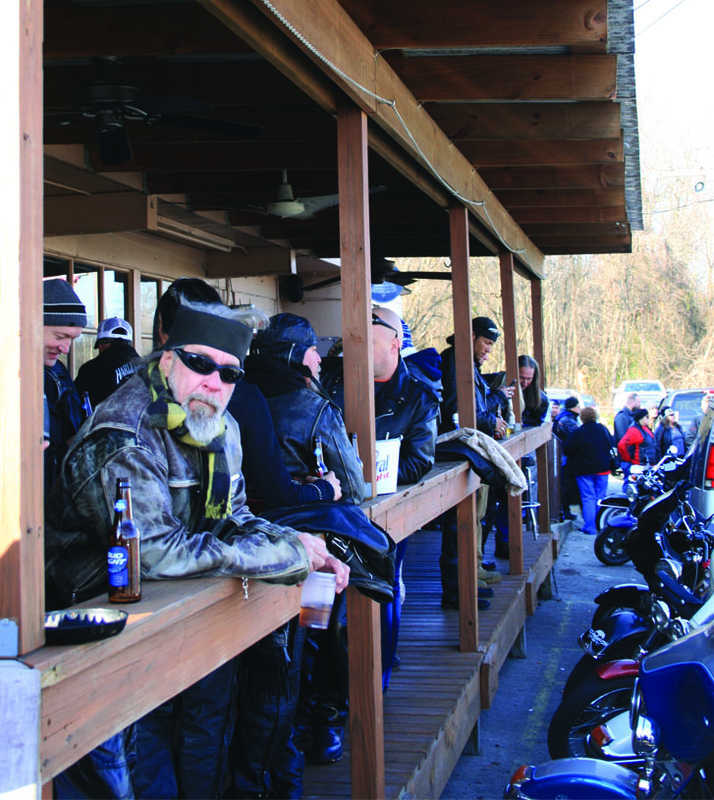 While the places and friends we visit on the Polar Bear Run may vary from year to year, our traditional last stop has always been and will always be The Donelson Pub. Each year they are expecting us with ample staff on hand, spirits and snacks ready, and friendship and fellowship that sustains time. It is not uncommon for us to lose a few riders at this stop who choose to hang out with old friends to catch up a bit more. They all eventually make their way back to the Beach. When Barry performed his last Lock and Load of the day we all headed back home to Bikini Beach Bar where Kristy was waiting with Black eyed peas and Hog jowl hot and ready for everyone. Another Polar Bear Run complete. Another New Beginning among friends and family to set the course for the year to come. If you were with us on this ride you know the satisfying feeling of a New Year off to a great start and full of promise for good things to come. For those of you, who didn’t make it, consider yourself invited for next year, same date, same place, and same time. Thanks again to Barry, Kristy, Barbara and the gang.